Deputies found approximately 45.5 grams of THC gummy bears; 31.6 grams of marijuana; 5.8 grams of crack cocaine; and $2,230 in U.S. currency. SAN ANGELO — A 34-year-old man was arrested by Tom Green County Sheriff’s Office Wednesday deputies after numerous illegal drugs, including gummy bears containing THC, were seized by the department. 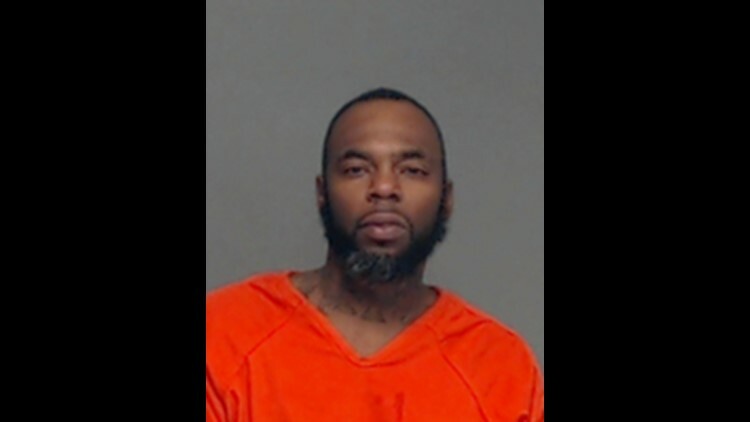 A press release from the TGCSO Thursday, said the TGCSO’s Criminal Investigation and Patrol division, acting on information received, conducted a narcotics field operation resulting in the arrest of Marcus Wiley McVae. Crack cocaine, marijuana, edible marijuana products and cash, along with evidence of the distribution of narcotics, were seized. Deputies found approximately 45.5 grams of THC gummy bears; 31.6 grams of marijuana; 5.8 grams of crack cocaine; and $2,230 in U.S. currency. McVae has been charged with possession of marijuana under 2 oz. ; manufacture or delivery of a controlled substance Penalty Group 1, greater than 4 grams and less than 200 grams; possession of a controlled substance Penalty Group 2, greater than 4 grams and less than 400 grams; and resisting arrest, search or transport. The sheriff’s office said McVae’s bond was pending, as of 11:50 a.m. Thursday. On Aug. 28, 2017, McVae was sentenced to 10 years of probation for a charge of engaging in organized criminal activity for his role in a 2016 armed robbery that happened in Tom Green County.